The true value of student travel is immeasurable, but the price is very real. Help parents put it into perspective by offering a few fundraising activities leading up to the tour. Not only do fundraising activities make your trip more affordable, but they’re also a great way to build excitement for the trip and to encourage group cohesiveness before you go. 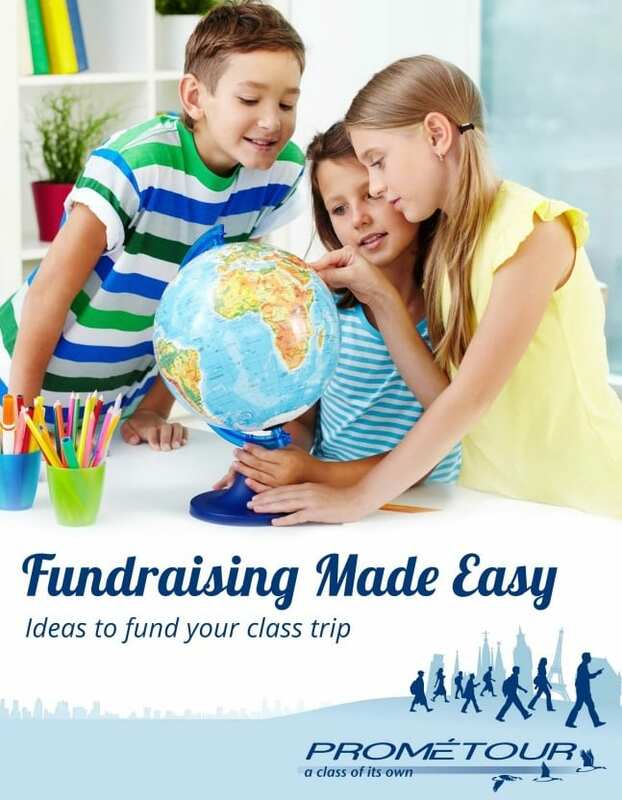 In this booklet, you’ll find many ideas for raising funds for your educational tour. From the most simple ideas to more involved campaigns, you’re sure to find a few activities that will help move your group one step closer to that life-changing journey! Prométour partnerships that help you gather funds online. Events – The most effective fundraising events. Contests– Contests students will love. Food – The easiest food-related fundraisers. Make it easy! Make it profitable!